In PCB design, there are many different steps that need to be followed in order to make sure that the circuit works properly. This includes everything from defining the layer stack to inserting the drill holes and adding some labels and identifiers. Here, we are going to talk you through some of the important steps in the process. Keep reading if you would like to find out more. Drawing the schematic is one of the most important roles of the PCB designer. The schematic needs to have the components all in place and it needs to be easy to read. While it is possible to start your board from scratch, it is advised that a schematic is used. Once you have created your schematic and have set up your PCB on the software that you are using, you’ll need to think about defining the layer stack. Usually, you will use the Layer Stackup manager to complete this part of the process. Placing your components on your PCB is a tricky task but it should be something that you do as quickly as possible. Some software packages allow for components to be placed automatically but this does not always guarantee accuracy. Make sure to double check your layout before moving onto the next stage. The next stage in PCB design is the stage where you need to insert the drill holes. When you are doing this, you might find that you need to think about modifying the via locations that you have already decided on. Once you have got past this stage, you can move onto the route traces in your PCB design. You should always make sure that you are using routing guidelines as these will show you how to do this effectively. Consider adding some colour coding to your design as this will make it easier to understand further down the line. Is your circuit board ready? It’s time to verify the layout by looking at the rules that are in place. You can alter the rules that are selected in your software package and this will make this part easier. Make sure that your rules correspond with those set out by your manufacturer. Once your design has been verified, you can progress with adding your labels and identifiers. These are very important so make sure that they are clear. If you have some logos or images on your design, then make sure that your manufacturer will be able to read them. The final stage in the PCB design process is the generation of the design files. Take a look at the most common files formats like Gerber for instance and choose what is best for your project. 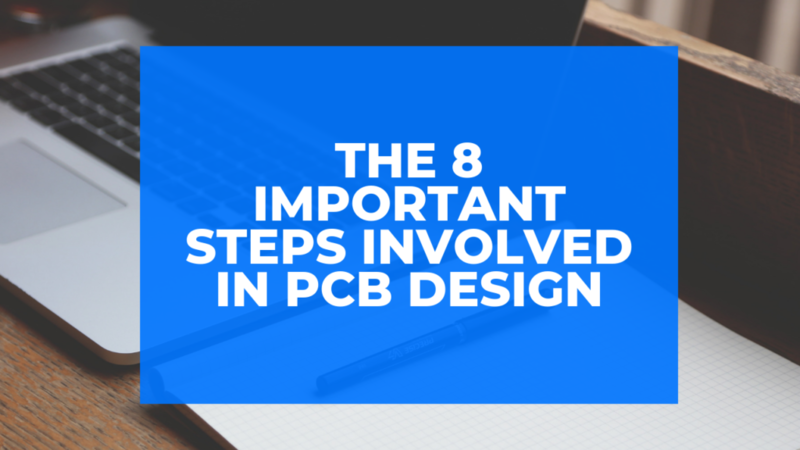 Now that you know all about the stages of PCB, you can go ahead and start designing your own.